So far the season has been successful, with plenty of adventures, interesting people and of course some great archaeology. For us the surveys have just come to an end. We feel the time flew by so quickly! However, phase two of the 2013 field season has started with the continuation of last year’s excavations by a fresh team, under the leadership of Menno Welling. The lab analysis, still run by Sheila Nightingale, will be continued, too, until the end of the season. 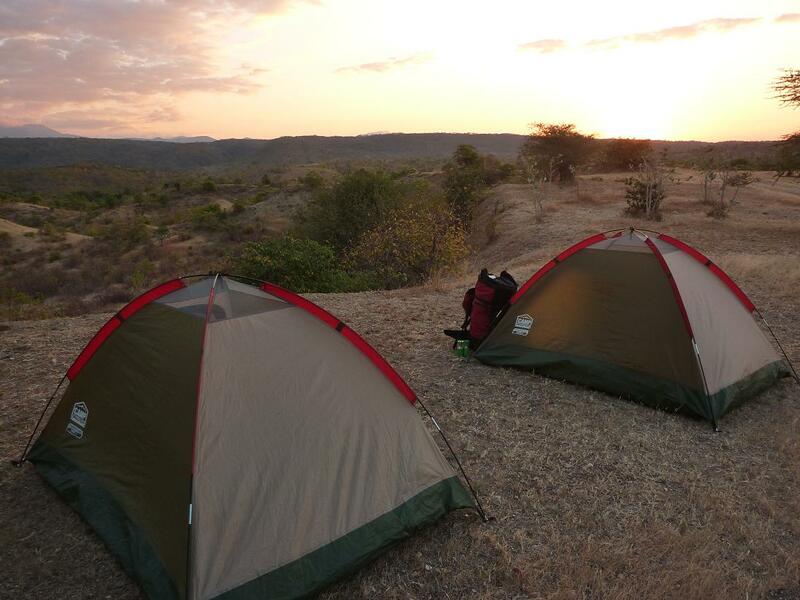 The camping within the several research areas was a good move, since we got much ground covered. We surveyed eight areas in total within six different river catchments over a distance of almost 100 kilometres from north to south. It was surprising how many MSA artefacts are dispersed on the landscape. A first insight into the methods of stone knapping used by the MSA people is given by the nearly 400 cores we discovered this year. In the northern catchments radial flaking techniques – and to a lesser degree the Levallois method – are more common than in the southern catchments. And in the far north of Malawi, close to the Tanzanian border, quite some prismatic cores exist, which are very rare in the other river catchments. In the southern parts of the Karonga District also radial cores are found, but here a higher percentage of cores exist which were knapped about halfway and bifacially, and cores of which only a small number of flakes are knapped from one platform and from one face of the cobble. To obtain information on the types and qualities of the raw material in the different river catchments we also analysed well over 400 unmodified cobbles which we selected from the Chitimwe Bed exposures and in between the artefacts. In the southern areas mostly quartz raw material was present, while much more quartzite cobbles were available in the north. This is reflected in the types of materials used for the production of stone tools. In the north, by far most artefacts are on quartzite and in the south quartz cores and flakes are more common. Another interesting but rare raw material in Karonga District is chert. In the southern areas a few cores and flakes made on chert were found, so maybe a small source of chert was present in the southern part of Karonga District. 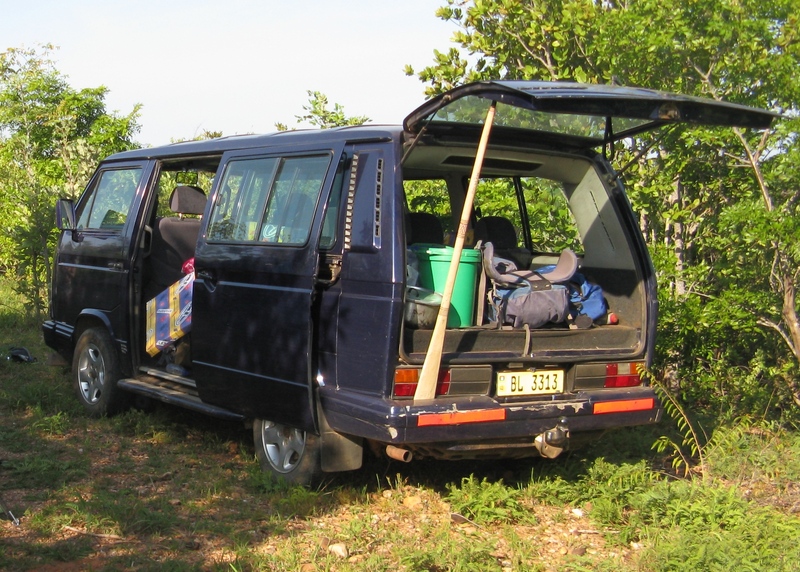 One of the recurring issues this field season has undoubtedly been the fun and games we’ve had with our car, an old VW van. 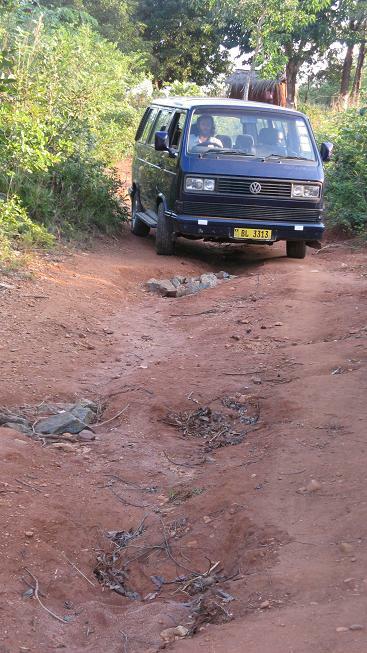 In Malawi vans are most commonly used as taxis which ply a trade mostly along the lakeside highway. For this reason, whenever we are blessed enough to drive on the highway, we are hailed by many bystanders who are keen for a lift home. We figure that our time spent here could have been fairly profitable if we had taken the many offers! To start our day we negotiate entering the van. The internal locking system is no longer working as it once did, so the procedure is a bit more time consuming than it should be. It’s a two person job to open the sliding door, one with key on the outside, the other with a screwdriver on the inside. Often we use the boot space to keep our gear in, but to keep the door raised we use a giant stirring spoon, or the “paddle”. The most fun we have with the van are the morning starts. It seems over the season the crowds to watch the intrigue got bigger and bigger. We usually need a few steps to get it started. The first is to check and clean the positive terminal of the battery to make sure the battery is talking with rest of the car and is not sleeping. If that doesn’t work you need a jump start. The second step is even more crucial, which is opening the engine at the air filter end and splashing in a little bit of petrol, which usually does the job in getting started. After that, it’s simply a matter of a few good cranks and plenty of gas and most of the time it splutters into life. If we can’t get the van started, then there always seems to be an ingenious local mechanic nearby who is happy to give us a hand. As it is not easy to get spare parts for the car, the mechanics usually have to keep modifying broken parts with wires, bolts, or whatever is available, or even invent new parts themselves. Once started, we found the van behaves rather well. There are times, however, when driving at night, where the van feels like it is necessary for us to only be able to use the lights IF the windscreen wipers are also on. This is mostly amusing because in all our time working in Malawi we have never once had any rain fall on us. For the survey team the season is over, but we’ve had a great time and feel like all the hard work has paid off. As mentioned previously the season is not nearly finished for the rest of the crew, so it is to them we wish the very best of luck and to whom we hand the blogging baton!